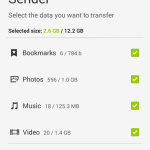 Please note that data synced with online services, such as contacts, will not be transferred. 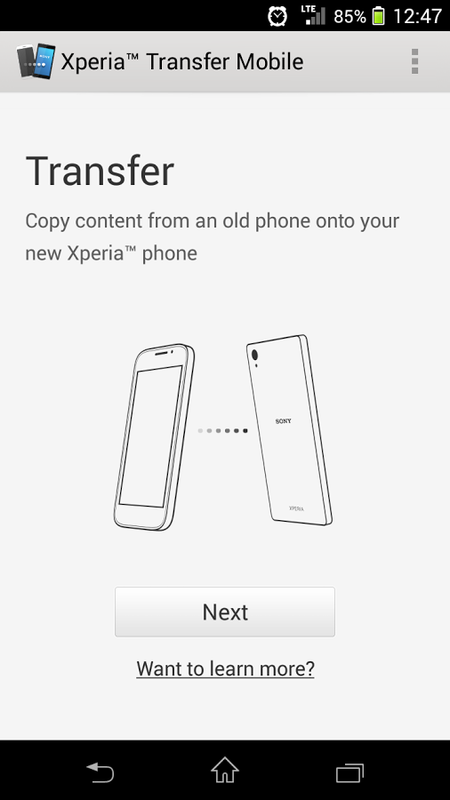 Simply download, install and activate Xperia™ Transfer Mobile, then pair your new Sony Xperia™ with your old iPhone. You’re ready to go once the phones are connected. 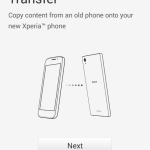 Choose which content to transfer….. then let Xperia™ Transfer Mobile do the work for you. 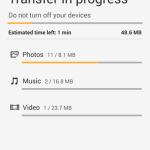 When pairing Android devices, connect by entering the PIN code or just touch the two phones to start the NFC transfer process, and your content will be transferred wirelessly. • Android 4.0 (Ice Cream Sandwich) and later versions. Not limited to Sony™ products. 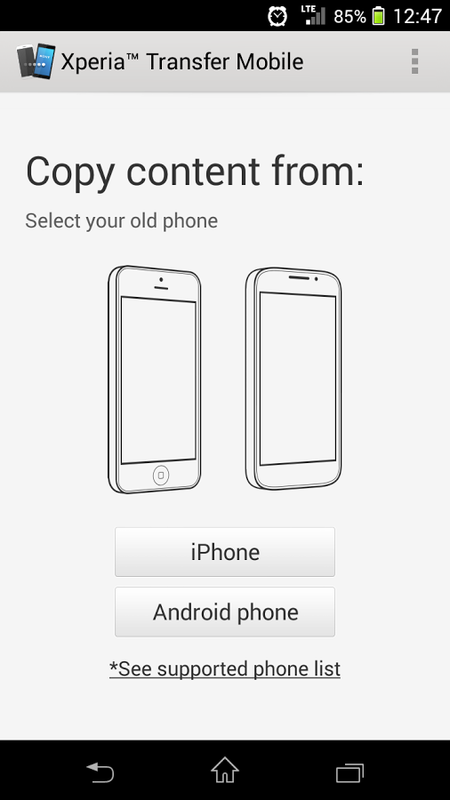 • iPhone™ with iOS 4.0 and later versions. 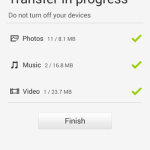 • Sony Xperia™ limited to Android 4.3 (Jelly Bean MR2) and later versions. 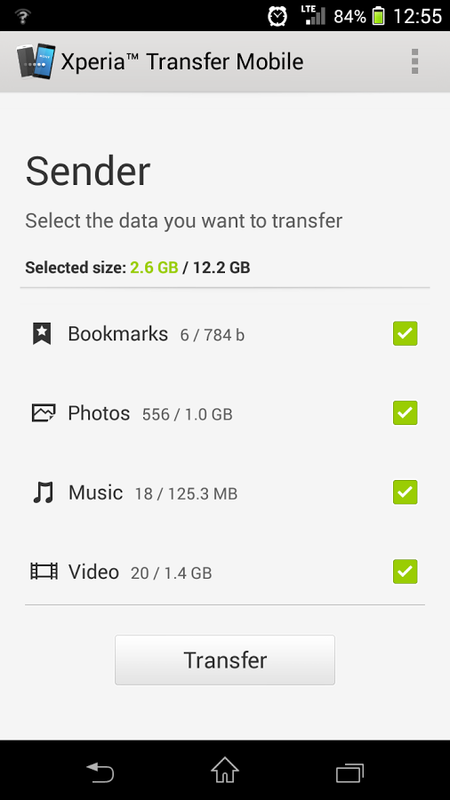 Visit http://www.sonymobile.com/xperiatransfer/ to learn more about Xperia™ Transfer and find out how to transfer your precious content to your new Sony Xperia™. 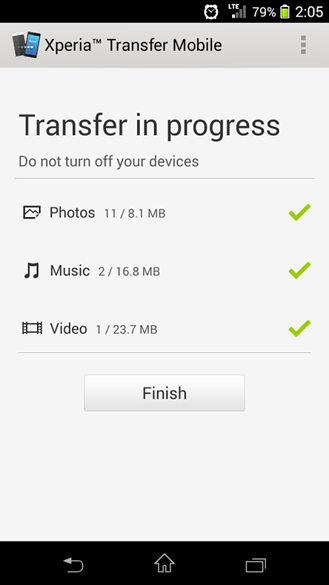 * Xperia™ Transfer Mobile can be used with any Android smartphone complying with the Android OS version requirements. 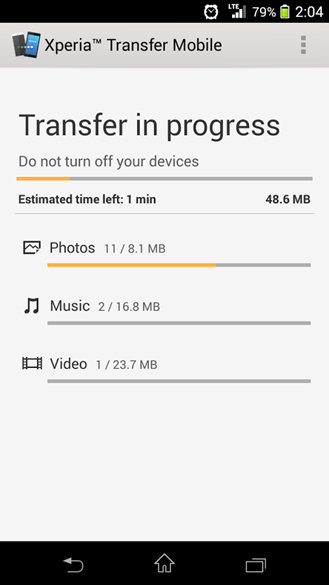 Please note that depending on the old device capabilities, not all content may be transferred correctly or completely. In case of valuable content, please verify the result of the transfer afterwards. 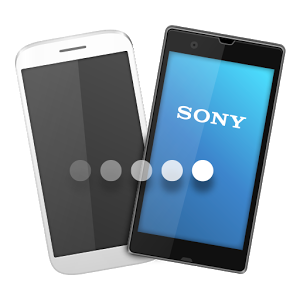 ** Based on your old phone’s apps, Xperia™ Transfer Mobile will suggest corresponding applications or similar apps that are suitable for your new Sony Xperia™.